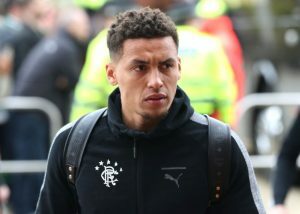 James Tavernier has played down speculation linking him with a move away from the Ibrox Stadium during this transfer window and has shown eagerness to pen a new deal with the club. The attack-minded right-back has been one of the top performers at the club but has been linked with moves to the Championship teams Sunderland and Reading in recent weeks. The English defender’s contract with the Scottish giants runs out in the summer of 2019 and has insisted that he has “unfinished business” in Scottish football with the right-back eyeing to win trophies at Rangers in the coming years. “I’m fully committed to Rangers. I’m still learning here and I’m still growing here. “I’m still under contract for another 18 months so I’m really happy here. “I came here to win trophies. Also, in all the Old Firm games I’ve played, I’ve only been on the winning side once so far. I want to win some more of them. I still have unfinished business as a Rangers player. The 26-year-old put in another strong performance for Rangers in their comfortable 2-0 victory versus Aberdeen on Wednesday. He converted from the penalty spot to help seal the points for the Gers which put them above Aberdeen to second place in the Scottish Premiership standings with only goal difference separating the two teams. It is believed that Tavernier was hugely encouraged by the performance of the new recruits of this window in Graeme Murty’s starting lineup with Russell Martin, Sean Goss, James Murphy and Jason Cummings making their debuts for the Gers on Wednesday. The goal against Aberdeen was the fifth goal of the season for Tavernier with the right-back also providing 7 assists in all competitions for the Scottish giants. At 26, he still has his best years ahead of him in a Rangers shirt. 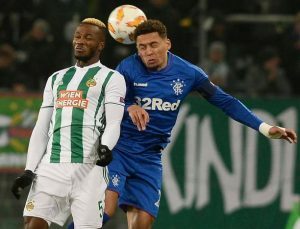 The Scottish Premiership side should do all they can to tie him up on a new deal in the near future, which could help them in their quest to bridge the gap with rivals Celtic at the top of the table in the coming seasons. Manchester City Looking To Land Real Madrid Maestro: Where Will He Fit Into Pep’s Plan? Watford Target To Seal The Deal For 31 Y/O Former PL Forward: Good Fit For Gracia’s Plans? Rangers Reject Nottingham Forest’s Bid: Can Caixinha Get One Over Warburton? Rangers Fullback Red Hot On Crystal Palace’s Radar: Gerrard Should Hold Firm In His Decision!